Since Sts. Peter and Paul Catholic Church opened its first school in 1921, thousands of students benefited from a fine Catholic education. Now it's your turn to pay it forward to future generations! Our Fourth Street school building, which houses kindergarten through second grade, is nearly 100 years old. After the flood in 2007, four classrooms in the basement were deemed uninhabitable, and the building needs significant renovation to bring it up to current code, accessibilityand educational/technology standards. In June 2017, our parish building and finance committees selected RCM architects to conduct a comprehensive facilities assessment and master plan. Their assessment estimated that the cost to renovate the Fourth Street school building would be similar to the cost of building new. Given that a new school would cost nearly the same as the renovation, RCM recommended that we explore the possibility of building new facilities on our existing Locust Street school property. our thriving Catholic school. The design of the new facility also includes raising the building above the 2007 flood level to mitigate potential flood damage in the future. In the past many rose to the challenge when it was their time. 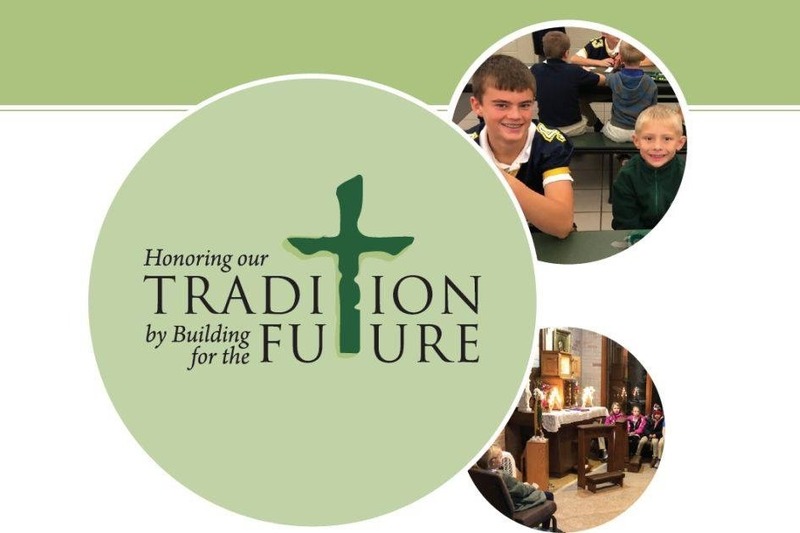 Now is OUR time to make our campaign, Honoring our Tradition by Building for the Future, a great success! I am asking for your generous support to help make this vision a reality.